‘St. Nicholas Christmas’ is available as a limited time only Christmas Card with the CD single for the purchase of $10 plus shipping and handling. The net proceeds will be donated to the CP 24 Christmas Wish, formerly the CHUM/CITY Christmas wish. To order your own Christmas Card CD log on to: http://bit.ly/1xuY8Rl and it will be on its way to you. 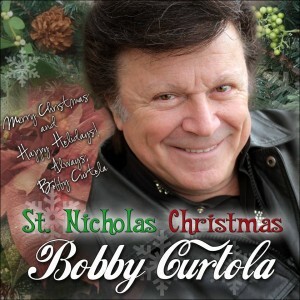 HO HO HO from Bobby Curtola! !